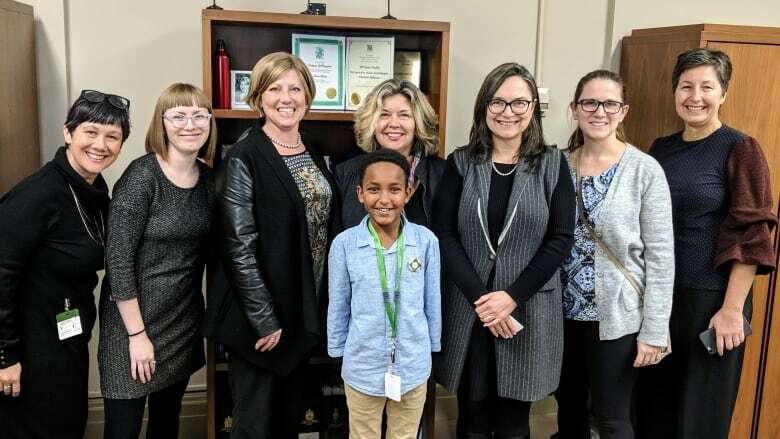 A group of Western University researchers and community partners are asking Canadian politicians to grant adoptive parents and caregivers more time to bond with their children during the early stages of adoption. The London, Ont.-based research team and Adopt4Life: Ontario's Adoptive Parents Association officials were in Ottawa last month to request an additional 15-week "attachment" leave to be part of a new class of employment insurance benefits for adoptive parents and customary and kin caregivers. They met with members of parliament and policy advisors. "Our concern is that there isn't a separate class of benefits that recognizes the unique challenges adoptive parents face," said lead researcher Carolyn McLeod. The Western University Arts and Humanities professor is also chair of the board at the non-profit. "What we are asking for is parity with biological parents," she said. Right now, both biological and adoptive parents are granted a parental leave of up to 35 weeks. However, biological mothers are granted an additional 15 weeks of maternity leave. To back up their ask, researchers surveyed a total of about 1,000 adoptive parents and caregivers across Canada, except for in Quebec, which runs a separate employment insurance system. About 75 per cent of respondents said the current parental leave didn't give them or their children sufficient time to adjust to their new family. More than 80 per cent of respondents said they've experienced two or more significant challenges with their children related to mental health, physical disability and establishing an openness agreement with birth parents. For example, some parents said they face the reality of unconditionally caring for children who are living with autism, fetal alcohol syndrome and oppositional defiant disorder. Officials said many children or youth waiting to be adopted into a family have experienced trauma and have complex needs. "So that goes to show the issue of how challenging adoption can be and those challenges are especially acute in that first year of placement," said McLeod. "The better kids do within adopted families that are strong, where there's good attachment and where the parental relationships are strong, the better those kids are going to do later in life," she added. More than 90 per cent of people surveyed agreed there should be additional benefits given to them, she said. McLeod said the team is fully respectful of the struggles biological mothers and parents may face both throughout and post pregnancy that would support the need for a maternity leave. However, McLeod said there needs to be a deeper acknowledgement of the challenges adoptive parents face. "We want to support people who are adopting kids who are in child welfare rather than having these kids stay where they are," she said. She said the team is "confident" after their meeting with politicians. The researchers will return to Ottawa in February 2019 when they'll release an official report.